The vehicle had a faulty power steering hose that the manufacturer needed to replace. The dangers of not replacing the hose included a loss of steering and a fire. A sudden loss of steering caused the accident that took the victim’s lives. The vehicle swerved off of the highway just north of Pasa Robles and collided with an 18-wheeler vehicle. The vehicle exploded into flames immediately, and the women lost their lives almost instantly. The tragic loss of her two daughters caused Cally Houck to seek justice by any means necessary. Houck had experience as an attorney, so she understood the multiple levels of legal culpability that lied with Enterprise. 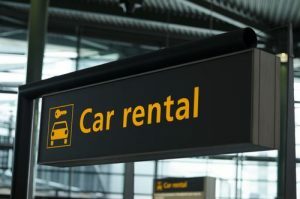 New Auto Renter Recall Laws in the U.S.
No auto rental company had ever been forced to disclose defects or fix recalled vehicles before they rented them to consumers. Many consumers had no idea that rental companies were not under legal obligation to do so. Unfortunately, the National Highway Transportation Safety Administration does not cover rental cars. All aspects of justice took a long time for Houck to receive, but she never gave up. Enterprise first denied their fault in the case and claimed that the driver was suicidal. The company later admitted fault and offered Houck $3 million for the incident if she agreed not to discuss it. The President of the Consumers for Auto Reliability and Safety urged her not to. Enterprise ended up having to pay the Houck family $15 million. The better news is that legislatures passed a law that requires rental companies to turn the recalled vehicles in for repairs before they rent them again. Right now, the legislation only obligates companies that have less than 35 vehicles to rent, but it is a huge step for a grieving mother and the rest of our society. The Jacqueline Houck Safe Rental Car Act of 2015 is in full effect. You have the right to contact an attorney and schedule a consultation if you have been involved in a similar incident as the persons in the above story. A reputable personal injury attorney will bring you into the office and consult with you about your incident. An attorney will review your case and then let you know how viable it is. You can then decide whether or not you would like the attorney to defend you in your situation. The attorney will work diligently to collect the compensation that you deserve for the injuries that you have endured from the incident.